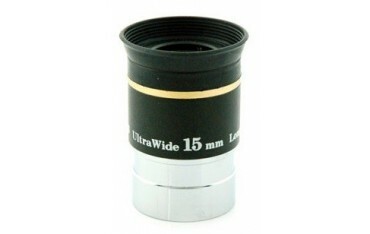 15mm UltraWide Eyepiece. 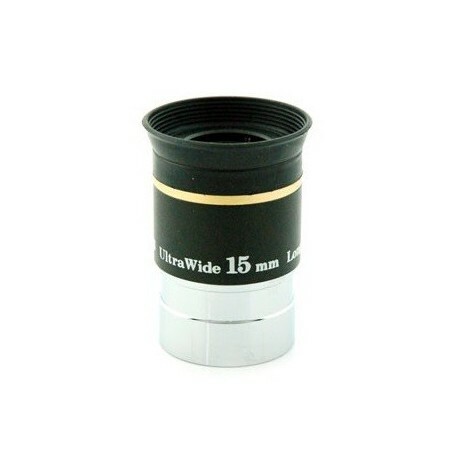 This Sky-Watcher 15mm Ultra-Wide Angle, Multi-Coated, Long Eye Relief eyepiece offers a generous 66º apparent field of view, and an eye relief of 13mm. It provides crisp, sharp images right across the field. Rubber eyepieces are included for viewing comfort and to exclude extraneous light.